Designed and made in England by Hardy Punglia for The Left Bank. This simple yet stunning sweatshirt is made from a half sports grey thick jersey fabric and half a contrast baby pink thick jersey. 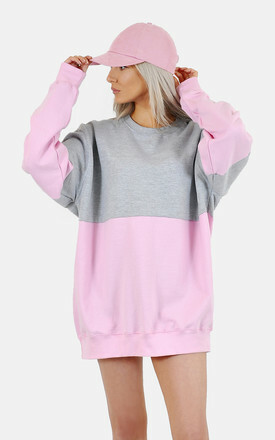 Other features include long statement sleeves, which can be worn long to keep your hand warm or ruched up the arms. 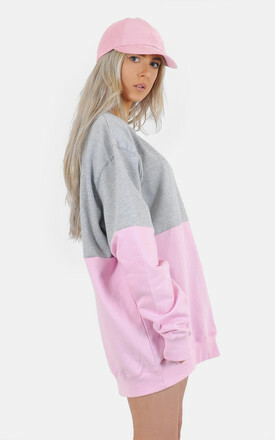 The sweatshirt is so soft and cosy, but most importantly incredibly unique and cool.